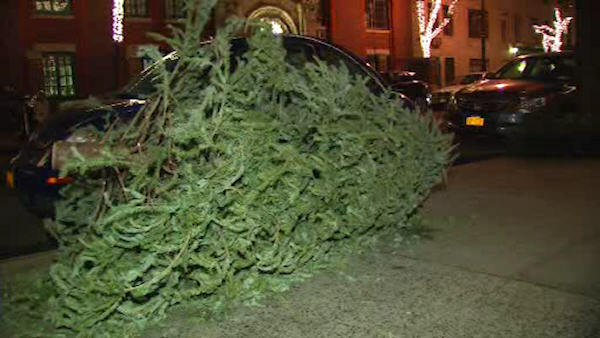 NEW YORK (WABC) -- It's been three weeks since Christmas, but all over New York City Christmas trees are still littering the sidewalks. Eyewitness News saw trees all over the West Side Friday night, even though the city says curbside collection began 11 days ago. The Sanitation Department has extended its tree collection, which was supposed to end Friday, through Saturday. The agency says it has already collected more than 158,000 trees. Those not collected by Saturday may still be left curbside and won't receive a violation.